Build muscle and strip fat from home with ZERO equipment. You DON'T need expensive gym memberships or a garage full of barbells to transform your body. All you need is your own bodyweight! I have helped thousands of men transform themselves with short effective workouts that can be done at home in under 20 minutes a day. 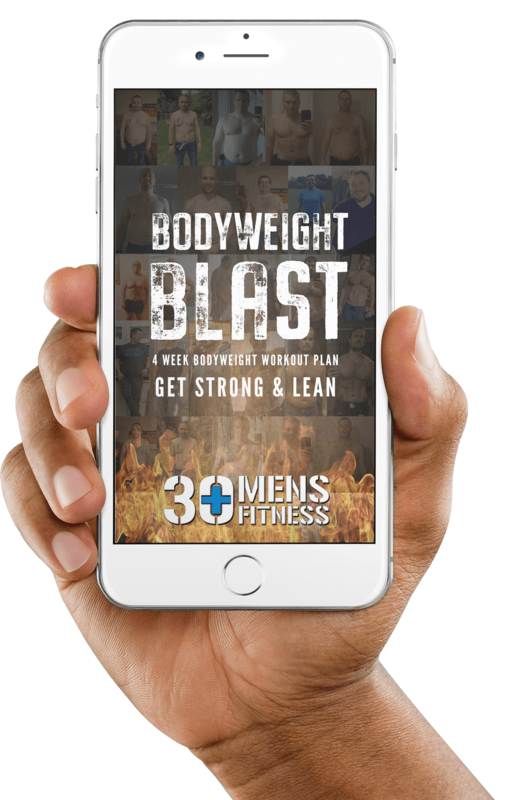 Bodyweight Blast is a BEGINNER 4-week program delivered via our phone app. I’ll also send you a downloadable book packed full of hints, tips and motivation. 1. You need to spend a small fortune on suspension trainers, bands and pull up bars. 2. They are not aimed at TOTAL beginners. You are asked to do 20 push-ups followed by 20 pull-ups and 20 dips when you shake and struggle with 3 push-ups. 3. They do not offer any form of progression; you are thrown in at the deep end and struggle to complete a single workout making you feel like a failure. I’ve coached thousands of men over the past decade, and most of them haven’t worked out in years and are too heavy for advanced bodyweight moves. I promise you that you CAN do my short effective workouts and you will be STUNNED at the strength gains you will make. What makes my Bodyweight Blast program different? I don’t make you do pull-ups or dips AT ALL. Don’t get me wrong; they are excellent exercises for advanced athletes but not suitable for beginners. This plan is TRIED and TESTED by thousands of men just like you. 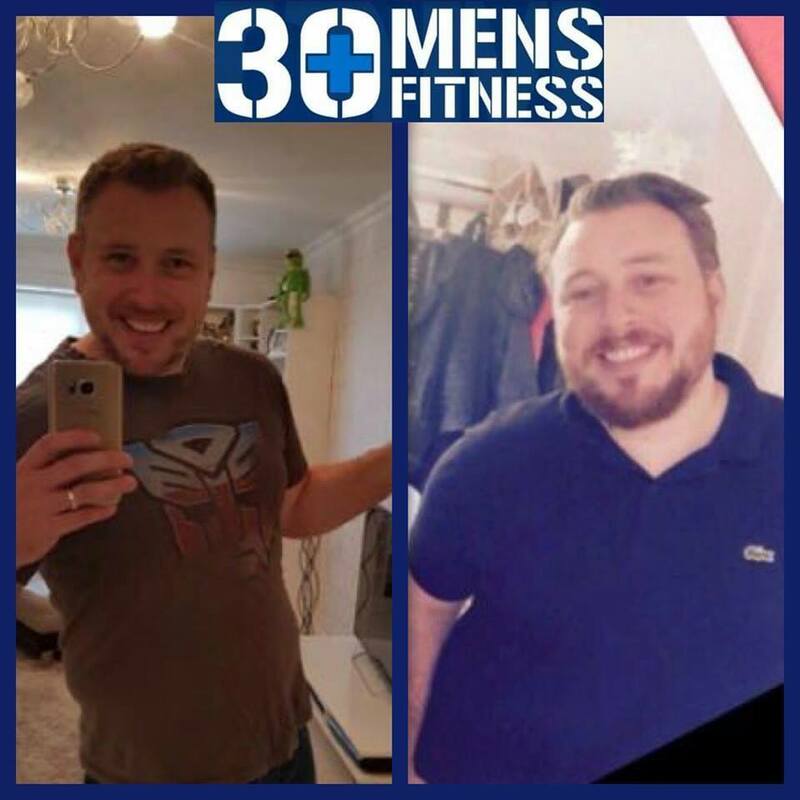 Some of the lads who transformed themselves with this plan started out well over 280lb! 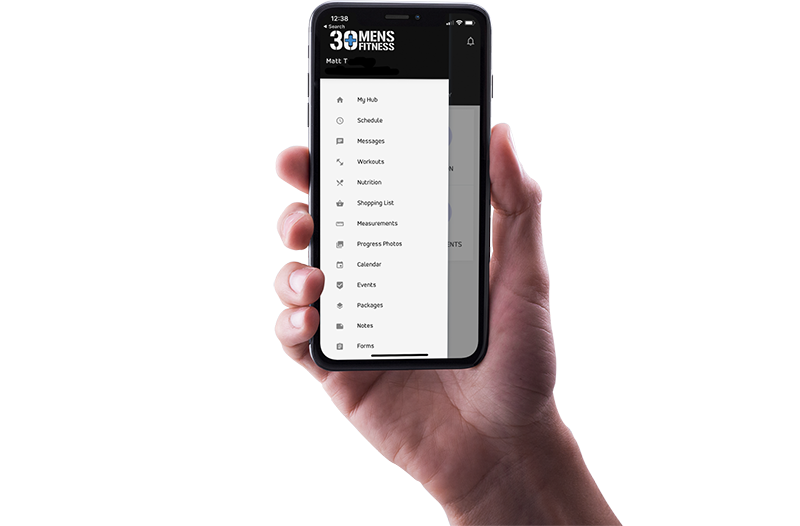 This workout is delivered via our 30+ Men’s Fitness app making sure you never miss a workout. It’s perfect for tracking your progress too. I do these same exercises MYSELF week in and week out. Two and a half stone weight loss to date and still going strong. Couldn’t have even started this journey without the support and advice from Coach Tregs and all the guys in the community. Make amazing gains in strength and start shifting fat by working out from home. 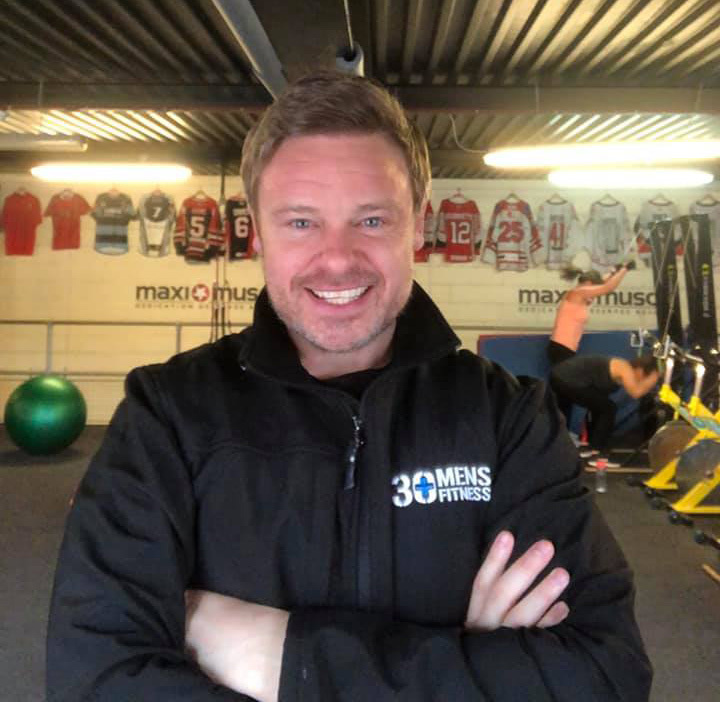 Thousands of busy over 30s men just like you have rediscovered their physique with this exact plan. In the past clients have paid £99 for access to the same bodyweight programming. Dan got into great shape by starting out his transformation with the same bodyweight program. 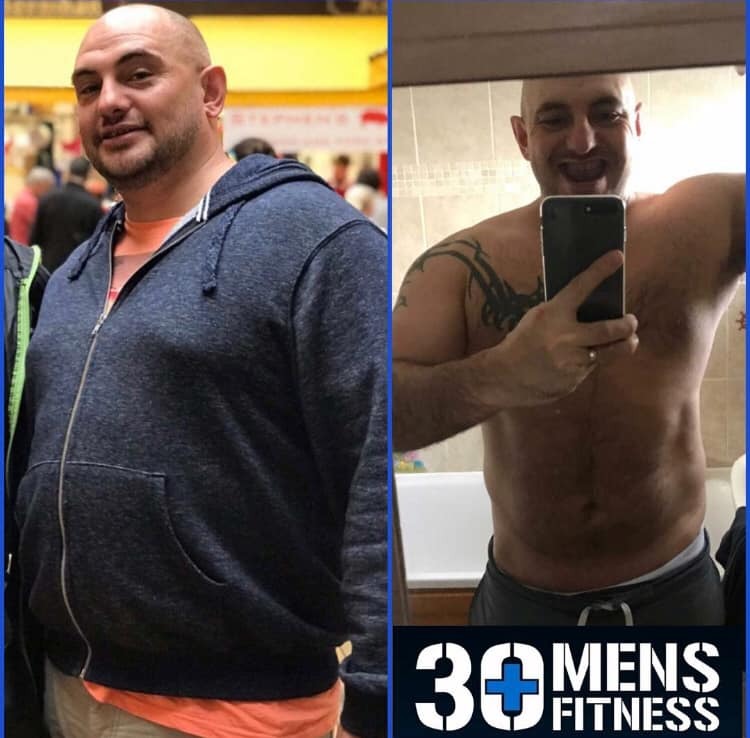 Kieran found 30+ Men’s Fitness just last year and has already made an amazing transformation. 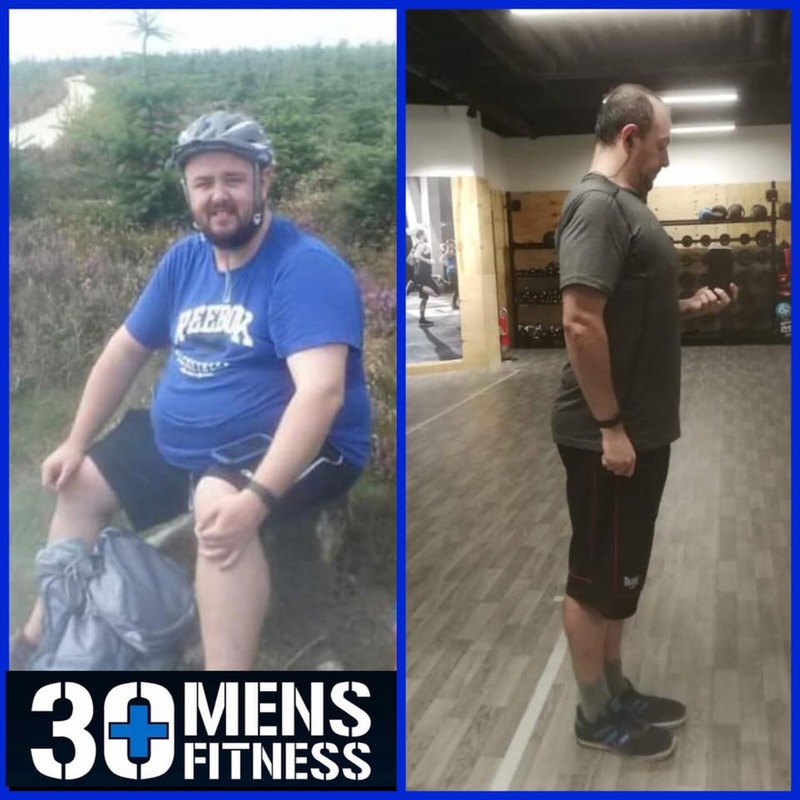 Wayne joined an online program with the same exercise plan and kick-started his 7 stone weight loss. Check out a workout from the plan. It’s just 6 minutes long with very straight forward movements anyone can do. Downloadable guide packed full of tips and motivation and video guides. Did Tough Guy at the end of January 2019, did Tough Mudder and 2 Spartan in 2018, Tough Mudder and 3 Spartan in 2017 – all because of 30+, would never have considered anything like it before joining 30+. Mens Fitness, now I’m hooked! Get immediate access to the phone app and downloadable guide. You will receive an email with instructions on how to use the app.